In order to cater the extensive demands we are offering our patrons a wide range of Graphite Plates mend to use in Chemical Industry, Aerospace Industry,Aluminum Industry, Electronic Industry, Foundry Industry, Metallurgical Industry, Quartz Industry, Vacuum Furnace Industry, Mechanical Industry, Energy Industry and many others.These products are manufactured using high-grade raw material and advanced technology to ensure their adherence with international standards and norms and to ensure high durability and performance. Moreover, these products are available at very reasonable rate to our patrons. 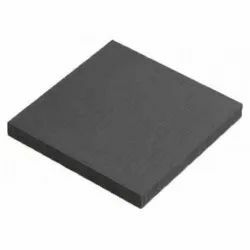 In order to cater the extensive demands we are offering our patrons a wide range of Graphite Plate. These products are manufactured using high-grade raw material and advanced technology to ensure their adherence with international standards and norms and to ensure high durability and performance. Moreover, these products are available at very reasonable rate to our patrons in versatile models.